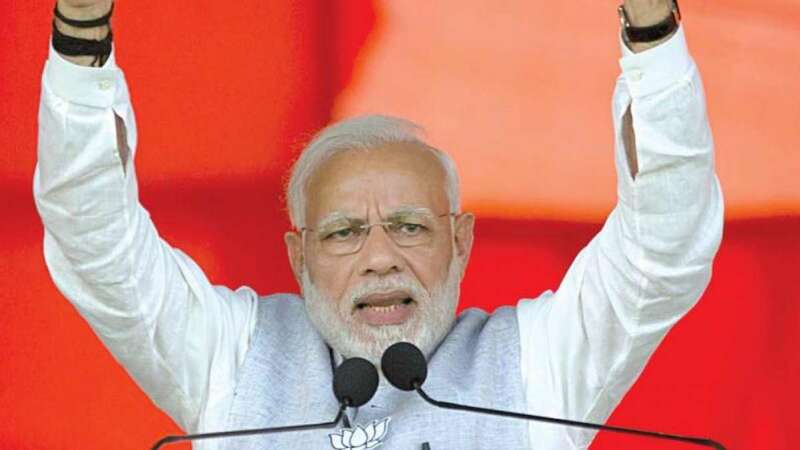 Mumbai : Prime Minister Narendra Modi will be announcing infrastructure and housing projects worth Rs 41,000 crores in Maharashtra on Tuesday, said an official. Arriving in the evening, PM Modi would lay the foundation stone for the Thane-Bhiwandi-Kalyan Metro-5 and Dahisar-Mira Bhayander Metro-9 at Kalyan in the adjoining Thane district. The Rs 8,416-crore 24.9-km long Thane-Bhiwandi-Kalyan Metro-5 corridor is expected to carry around 2.29 lakh commuters daily by 2021, with the entire system designed for six-coach trains. The corridor will have 17 stations. The 10.3 kilometer long Metro-9 route is likely to be completed by 2022, the cost of the project is estimated at Rs 6,607 crores. Mr PM will then head towards Pune to lay foundation stone for another metro project between Hinjewadi and Shivajinagar. The Kalyan event will also see the launch of Navi Mumbai town planning authority City and Industrial Development Corporation of Maharashtra’s (Cidco) mass housing scheme worth Rs 18,000 crore, which offers around 89,771 homes under the Pradhan Mantri Awas Yojana. “Out of the total project cost for Metro-9, the cost of land acquisition, resettlement and rehabilitation and civil works will be provided by the state government and MMRDA, which is around Rs 4,967.75 crore, while the cost of rolling stock and systems to the extent of Rs 1,639.25 crore is proposed to be met from loan assistance of JICA (Japan International Cooperation Agency),” an MMRDA official was quoted as saying by PTI. The tenders for the same will be released in March next year. “Currently, the suburbs of Mira-Bhayander are connected to Mumbai via the suburban railways. After the metro-9 corridor is constructed, commuters will be able to take metro up to Mira-Bhayander from south Mumbai,” the official said.